It's your career, think big. Designing systems that capture, process, and analyze data is critical for companies in order to have a competitive advantage. This curriculum takes students from their first select statement to orchestrating big data workflows in the cloud. Learn how to build big data solutions for batch and real-time stream processing using Azure managed services and open source systems like Hadoop and Spark. This curriculum will teach you the skills required to capture, process, and analyse data for today’s data-driven world. 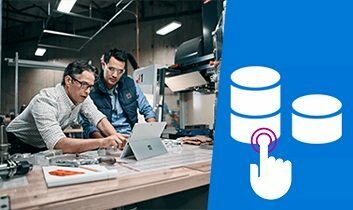 Get started with the Microsoft Professional Program for Big Data by learning how the program works, and getting up to speed with some basic data fundamentals. As a data pro, you know that some scenarios—particularly those involving real-time analytics, site personalization, IoT, and mobile apps—are better addressed with NoSQL storage and compute solutions than they are with relational databases. This course teaches you how to use the Hadoop technologies in Microsoft Azure HDInsight to build batch processing solutions that cleanse and reshape data for analysis. In this course, learn how to implement predictive analytics solutions for big data using Apache Spark in Microsoft Azure HDInsight. See how to work with Scala or Python to cleanse and transform data and build machine learning models with Spark ML (the machine learning library in Spark). This course introduces Azure Machine Learning, and explores techniques and considerations for using it to build models from big data sources, and to integrate predictive insights into big data processing workflows. Apply your Big Data skills by completing this capstone project for the Microsoft Professional Program in Big Data. Booking Options: We offer two options to reach your Certificate in Big Data! Do you have any questions about the Microsoft Professional Program for Big Data?